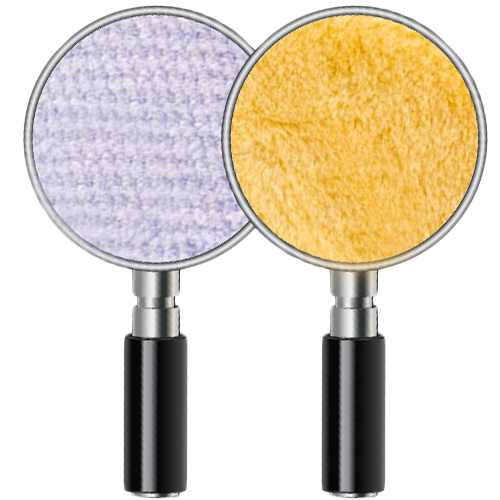 RUPES BigFoot Blue Coarse and Yellow Medium Wool 170 mm - 6.75" Orbital Polishing Pads have been engineered explicitly for RUPES BigFoot Random Orbital and Gear Driven Orbital Polishers. 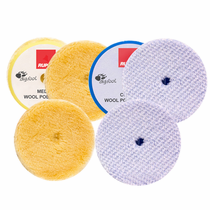 RUPES BigFoot Coarse Wool 6.75" Orbital Polishing Pad is made of a coarse wool dual-density fiber on a dense foam backing which offers quick leveling and superior cutting and defect removal capabilities. 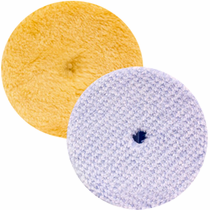 The advanced wool pad technology was designed to prevent haze and other unwanted results caused by the common wool pad on the market. 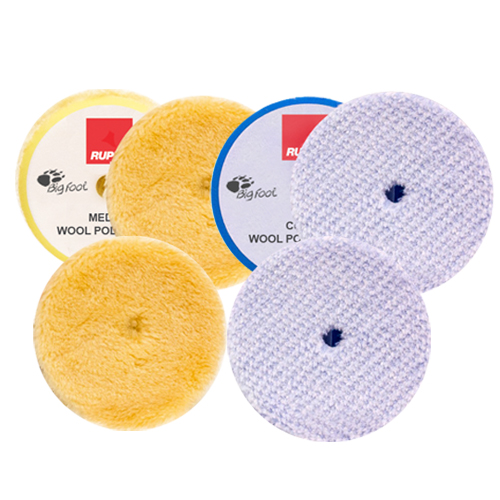 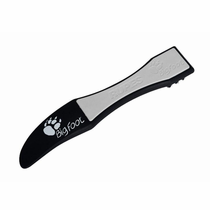 Made of a high grade 15 mm wool fiber on a flexible yellow foam backing the RUPES BigFoot Medium Wool 170 mm - 6.75� Orbital Polishing Pad will provide medium cutting capabilities and produces a fantastic clear finish.